Sam Wiebe has written a couple of very contemporary and at the same time traditional PI novels. Thanks. I hear an especially good report on his second book. The first person I thought of was Dennis Lehane, but with a few seconds contemplation, what you describe here was pretty much the criterion for David Simon when picking novelists to write for THE WIRE: George Pelecanos and Richard Price leaping to mind. Joseph Wambaugh's novels feature the cops, but also probe a lot of socioeconomic causes of crime. There are plenty and they tend to be the better novels i the genre because they take Raymond Chandler's comment about Dashiell Hammett's work ("Hammett gave murder back to the kind of people that commit it for reasons, not just to provide a corpse;" and moves it up a notch by providing the motivations behind many of those reasons. Pelecanos came to mind, though I've read far more European crime writers than Americans, as my list suggests. 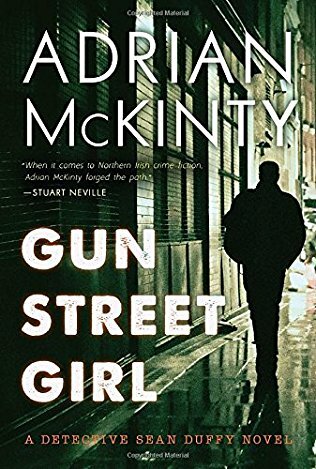 I'm listening to McKinty's Rain Dogs now, and there's plenty of traditional-mystery material in it amid the social and political observation and the story and the character and the jokes. I suspect the Daneet Stevenses of the world may catch on in a couple of years. Fascinating post, Peter, and I very much appreciate your reference to Waterloo Sunset. When I started writing that series, a long time ago, my concept was to marry Golden Age tropes with a portrayal of a deeply troubled urban environment. What interested me was that in the 90s, all the reviews focused on the sleazy city stuff, and ignored the traditional elements. It was a bit frustrating, but there you go. One of the great things about ebooks and reprints is that a new audience gets a chance to look again at books - whether from the Golden Age or my early efforts - and perhaps to find things there that weren't immediately obvious. Which I think can be rewarding. I feel gratified that I got the point, then. To me, the book revealed vitality and potential that I did not know traditional mysteries possessed. I can recommend the series heartily to anyone who needs a similar lesson. John D MacDonald's series about PI Travis McGee was filled with social commentary regarding urban sprawl and environmentalism back in the sixties, though admittedly only a minor note in the books. I have also heard that the Travis McGee books would sound a rare conservative note, or am I imagining that?